The long awaited (well certainly for me) new album from Miranda Lambert finally hit the shops end of last week. 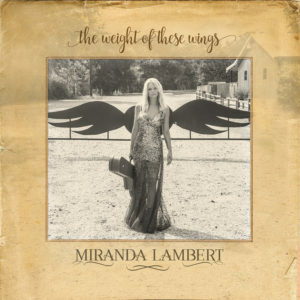 The Weight of These Wings is a double album, Miranda’s 6th studio album and her first since her shock divorce from Blake Shelton. Following the divorce Miranda kept very tight lipped & even when Blake released his latest album If I’m Honest, with several tracks not so subtly aimed at Miranda (She’s Got a Way With Words in particular) she still kept her tongue. Would she let rip on her latest CD? Would she fight back? When Vice was released as the 1st single from the album my heart broke as it would appear to be an admission of guilt! Was this the way the CD would go? The CD as a whole is a lot slower tempo than Miranda’s usually style and has me wondering if Miranda is attempting to remodel herself, after all Madonna has done it very successfully several times, as has Kylie Minogue. Perhaps Miranda felt it time to reinvent herself slightly. I was already wondering at this after her performance at Country 2 Country in March this year. For me the whole 3 day event this year was all about Miranda & I will be completely honest & say I for 1 was disappointed with her performance. I felt she hid behind her guitar, used it as a shield. I fell in love with Miranda in 2010 when I went to the CMA Award ceremony in Nashville. Miranda was nominated for & won several awards & I had listened to her album Revolution in preparation, I loved it after just the 1st play. She then performed a couple of times at the ceremony & I loved her sassiness. I have since watched many clips on YouTube & I have loved all of her albums. It was 10.30 on the night of her performance when Miranda put her guitar down & strutted up & down the stage as if she owned it. That was the Miranda I was expecting. I do know however she actually won many people over to her that night, an awful lot of people really didn’t expect very much from her & were blown away at how good she really was. So, perhaps my expectations were too high? I will start by saying it took me a few listens to get into this album, mainly due to the number of slow tempo songs. I 1st listened when I was in the car driving for a couple of hours & I found my mind kept wandering rather than listening with attention! The 1st track – Running Just In Case makes me think of someone who is lost, especially the line But nobody ever taught me how to stay. This theme is continued with Highway Vagabond where the open road is the theme with no clear destination in mind. With Ugly Lights Miranda is trying to drown her broken heart in a sleazy bar somewhere, but achieving a hangover which just adds to her troubles! You Wouldn’t Know Me sounds quite old school, I keep thinking of Johnny Cash’s Jackson when she starts to sing! We Should Be Friends is a great track, basically if you are not perfect then you are the kind of person she wants to be friends with! This is followed by Pink Sunglasses, a right daft song that I love! It is a more up beat sing along number! 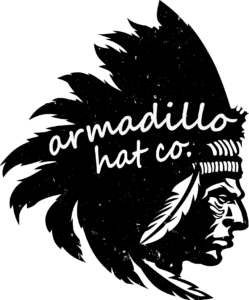 Getaway Driver is the 1st of 2 tracks on the CD to be co-written with Miranda’s new partner Anderson East. It stays with the soft tempo & it is almost as if it should be sung by Anderson as Miranda seems to be singing it from the male perspective about standing by his girl watching out for her. We then come to Vice, when it was released, this song broke my heart with the admission – Another bed I shouldn’t crawl out of. The track is a co-write with Josh Osborne and also a familiar name – Shane Mcanally, Shane has been writing with Miranda for many years. Vice is almost Miranda saying she just can’t help herself, it is quite a harsh track to be writing about yourself and you have to admire her, not only for writing & recording it, but also for releasing it as her 1st single after her divorce! Smoking Jacket tells us Miranda hasn’t given up on herself or finding love again, she is searching for a man who is going to love her for her & who she is. It is sung in a breathless, sultry manner and I find myself envisioning Marilyn Monroe! Pushin’ Time follows on from this where Miranda has found love, but now she is frightened of losing it, but she doesn’t want to take it slow because she doesn’t want to waste time! In Covered Wagon Miranda is off on her travels again, you get a real sense of an open road, with no real destination, purpose or time limit! Use My Heart is the last track on The Nerve it is co-written with one of her best buddies – Ashley Monroe and also Waylon Payne. It is a haunting number with a curse word which catches you off guard! Tin Man starts off CD no 2 – The Heart, & what a heart wrenching track it is! It is based on the Tin Man from Wizard of Oz who was looking for a heart. Miranda is saying he is lucky he hasn’t got one because feeling it break he wouldn’t want one. She offers him hers, but points out it is in pieces now! In the next track Miranda is doubting herself and looking for reassurance & to find it she is willing to go back to the beginning & the Good Ol Days! With a title of Things That Break, you kinda know this is another broken heart song and you would not be wrong, but once again Miranda is blaming herself I leave it all in ruins, Cause I don’t know what I’m doing. In fairness none of us do, but not many of us live our lives in the spot light! Our spirits are lifted with For The Birds, it is an uplifting feel good, aint life great track. With the line It’s love that makes this world go round you begin to feel hope for the future! Well Rested is the 2nd co write with Anderson &also Aaron Raitiere. It is again a very soft tempo number, but it shows off Miranda’s vocals superbly, her voice is so strong in this one. Tomboy, as the title suggests is about a girl who is anything but ladylike, however the last verse suggests maybe it is all a show & maybe that isn’t the case! As To Learn Her starts I am immediately transported back to Loretta Lynne’s days! It is another lost love song, but it is sung in a very classic Country style, once more showing off Miranda’s vocal abilities. Staying with this thought, Keeper of the Flame, Miranda acknowledges the people who have gone before her, the people who made her road slightly easier, but also recognising that she herself is walking a path that will help the people who will follow her. Bad Boy has Miranda falling for a guy she knows isn’t right for her, the type of guy her mama warned her about, but she seems irresistibly drawn to him & his ways! The tempo is picked up in Six Degrees of Separation, which has Miranda travelling from New Orleans to New York, but being reminded of her ex at practically every turn! Dear Old Sun almost sounds like a gospel song, it is about the sun & how our day revolves around it, but you have to wonder if it is also aimed at someone who has passed on. In the last track, I’ve Got Wheels, we are back on the road again you really get the sense not only with this track, but also Running Just In Case, Highway Vagabond & Covered Wagon, that Miranda took to the road to recover from her divorce, not necessarily because she wanted to, more because she felt compelled to. You get the feeling that with the title The Weight of These Wings, Miranda is likening herself to a fallen angel. Many of the tracks on the CD are slow and soft tempo, but the words on several of them are very hard hitting! As I said initially, it took me several listens to get into the whole CD, but if anything my respect for Miranda has increased further. To have the spirit to write and record some of these tracks takes real guts. When Blake & Miranda 1st got married, a good friend of mine predicted it would end in tears, she wasn’t sure who would be in tears, but she said it wouldn’t last. It did in fact last longer than she was expecting, however when you compare The Weight Of These Wings to If I Am Honest, I think there is 1 clear winner! Miranda has really flexed her muscles over the whole of these 24 songs, she wrote or co-wrote on all but 4 tracks, whereas Blake co-wrote on just 1 of his tracks. It is good to see Miranda’s old friends Shane McAnally (who shares my birthday, but is a few years younger!!) and Ashley Monroe are still writing with her, it is also interesting to see the songwriters Jessi Alexander (Things That Break) and our very own Lucie Silvas (Smoking Jacket) appear. I do have a really big concern now though, with these 24 new tracks, when she comes over to the UK in August, how is she going to fit it all in along with her previous hits? 8 out of 10 – but only because I prefer faster tracks! Also, some of the songs don’t really make sense to me!